I am writing this guide because I quite often describe the process of creating bootable Linux USB drives in the reviews that I write. This short guide will enable me to concentrate more on the features of a distribution and less on how you create a bootable live USB drive. UNetbootin is a cross platform tool that extracts the contents of an ISO file to a USB drive and makes that USB drive bootable. You are therefore then able to try out various versions of Linux simply by downloading different ISO files and using UNetbootin to refresh the USB drive with the ISO file of choice. Where can you get UNetbootin? 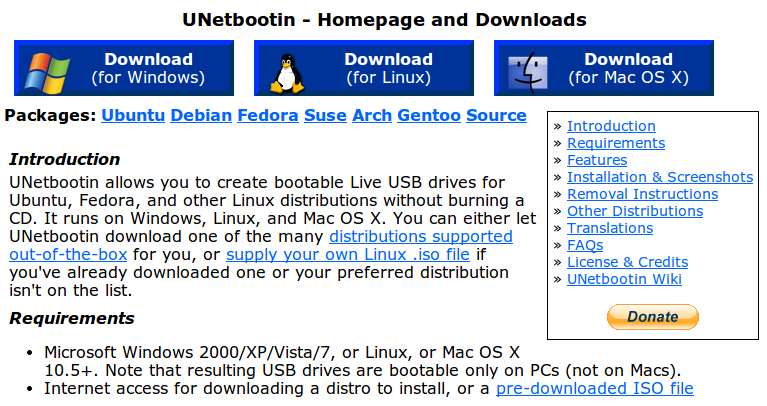 To download UNetbootin visit http://unetbootin.sourceforge.net/. 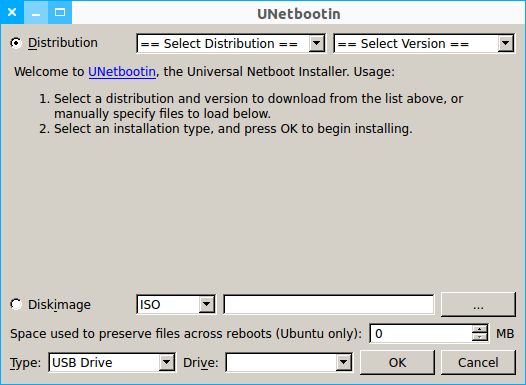 If you are using Linux you can quite often find UNetbootin within the repositories of the distribution you are using and many distributions have it installed by default. If you are using Windows double click on the downloaded file. If you are using Linux with a graphical desktop then there will likely be a menu option available for UNetbootin. If you are using Ubuntu it should appear in the Dash. Alternatively open a terminal and type sudo unetbootin. There are 2 basic ways to use UNetbootin. The first is to select a distribution from the list and let UNetbootin download the version of Linux you want to install and the second is to download the image of the distribution you wish to install and select it for installation to the USB drive. The best method as far as I am concerned is to download the media yourself from the download page for the distribution you are using. This means you get the full choice of distributions available and you will get the latest version. Once you have downloaded the ISO for the file you wish to install to USB select the “DiskImage” radio button. Now click on the button with three dots on it. Find the ISO file that you downloaded and click “Open”. Make sure that you have inserted your USB drive and make sure the “Drive:” dropdown box is pointing at your USB drive. Click “OK” to start installing to the USB drive. When the files have finished installing to the USB drive reboot your computer leaving the drive inserted and your system should boot to a menu where you can choose how to run the Linux distribution you have chosen. Hi Mario. I have updated the guide. UNetbootin doesn't format the drive first. You will need to do that yourself. I tried making a Zorin bootable USB, but i doesn't work. Absolutely. Create the bootable usb, reboot into Zorin Lite and run the installer. I have used usb drive with UNetbootin for installation without formatting it. In addition to iso image other data is still there on it. In the distribution list there are plenty of options..I am using windows 7 so could you guide which one to select from distribution list. Hi Gary. I'm trying to switch from Mythbuntu to Ubuntu and lucky for me, Unetbootin is already on my computer. My problem is that when i go to select my drive, all that comes up is /dev/sdb1. what do i do?